Review of the Purely Northwest Toenail Fungus System! 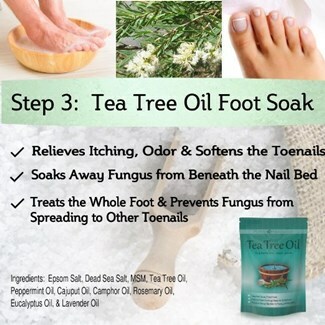 While there are hundreds of treatments available for toenail fungus, tea tree oil has proven time and again to be one of the most effective options. The Purely Northwest Toenail Fungus System takes that effectiveness to the next level. As a three-part therapeutic foot soak, it can help to eliminate foot and nail fungus, leaving your feet and toenails looking healthy again. Many people prefer natural solutions for getting rid of a fungal infection. Natural treatments tend to cause fewer side effects. They are safer, overall, and many have additional health benefits. 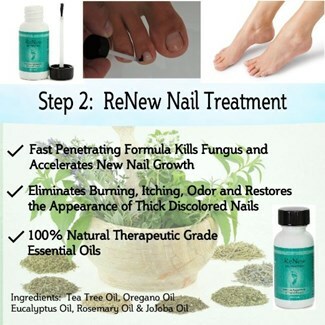 The Purely Northwest Toenail Fungus System focuses on the use of natural ingredients, including the potency of tea tree oil, to encourage healthy feet and nails. Unlike many other options, it’s an easy-to-follow and complete fungal removal process. While a three-part system may seem tedious to some, it actually works. But, is it the right solution for you? Will it help to treat your fungal infection quickly? Let’s take a closer look at what it has to offer. 2 Why is Tea Tree Oil the Key Ingredient? 3 Are the Ingredients Safe & Natural? 4 What Can I Expect From Regular Use? 6 What Are the Advantages & Disadvantages? 7 Is the Purely Northwest Toenail Fungus System the Best Treatment Option? This review will scrutinize the three stages of the Purely Northwest Toenail Fungus system, and how they can benefit your feet and toenails. We will also cover the health benefits of tea tree oil, including its benefits and how it kills off fungus. If you are looking for a safe way to get rid of toenail fungus, let this review be your guide to determine if Purely Northwest is right for you. The antifungal wash is made up of five essential oils, including tea tree oil. It also includes oregano oil, eucalyptus oil, rosemary oil, and peppermint oil. Natural ingredients like aloe vera help to heal dry cracked feet. You can also use this soap as a scrub to remove debris from under the nail. Dirt and debris can add to an infection and make it worse. The nail solution contains a concentrated blend of tea tree oil, oregano oil, rosemary oil, eucalyptus oil, camphor and jojoba oil. It is to be applied directly to the infected nail(s) after they have been thoroughly cleaned. These combined ingredients strengthen the nails and encourage new growth. The foot soak is a blend of tea tree oil and Epsom salt, with additional essential oils to speed up the healing process. Foot soaks are important for getting rid of toenail fungus. One of the most prominent symptoms of a fungal infection is hard, brittle toenails. At the same time, keeping your toenails trimmed when you have an infection is important. The longer they get, the easier it can be for a fungus to continue growing and spreading. A foot soak alone can help to soften the toenails and make them pliable enough to clip, or get a treatment under the nail bed. You can check out some of our top recommendations for foot spa machines. This will make the process easier and more enjoyable. When you add ingredients like tea tree oil into the soak, the antifungal properties can penetrate the fungus deeper. An additional ‘bonus’ to this antifungal foot soak is that it can be very relaxing. Toenail fungus can sometimes cause pain and discomfort. A soothing foot soak at the end of each day can help to alleviate some of that irritation. 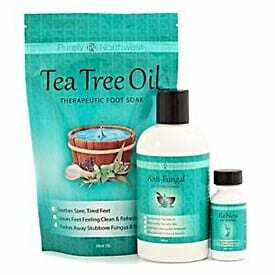 When used properly, these three products are meant to heal your feet and toes and clear up the signs and symptoms of unsightly toenail fungus. Each stage contains ingredients that can help to alleviate the symptoms on its own. When used as a complete system, however, you’ll experience a natural treatment solution that works faster and more effectively. CLICK HERE to Read the Latest Amazon.com Customer Reviews! Why is Tea Tree Oil the Key Ingredient? One thing you’ll notice about each of the stages is that they all contain tea tree oil. Not only is it 100% natural, but it has wonderful healing properties. Tea tree oil is an antifungal, antibacterial, and antiseptic agent. It has been used for different health conditions for centuries. Because it is used in every component of this system, it has time to really penetrate through the nail bed and attack the fungus from every angle. Tea tree oil is also so popular because it’s so safe. When you use tea tree oil on its own, it is recommended that you add it to some type of carrier oil (olive oil, etc.). Because of its potency, you shouldn’t put it directly onto sore or irritated skin. However, it is blended here with other key ingredients that allow it to work its magic without causing any irritation. Other ingredients within this system, like oregano oil, also have antifungal properties. Aloe vera and jojoba oil will help to heal your skin and add hydration. These ingredients won’t only help to clear up an infection, but they will soften your feet and help to get rid of toenail fungus fast. Are the Ingredients Safe & Natural? Because the additional ingredients in each formula are all-natural, you don’t have to worry about any chemical side effects. Negative reactions to these formulas are rare. Be sure to check the full ingredient list on each solution within the system. Some people may be allergic to certain ingredients, which can cause irritation. What Can I Expect From Regular Use? Because all of the ingredients in this system are natural and safe, you can use it every day. It is an antifungal treatment, but you’ll enjoy the spa-like routine it provides while taking good care of your feet. Any antifungal treatment will take some time to clear up a toenail fungus completely. The longer a fungus is left untreated, the worse it can become. In many cases, it can take weeks or months to be completely cured. Using this system daily will help to speed up the process, and encourage healthy nail growth. This system is designed to clear up fungus, but it will also leave your feet looking and feeling healthy and clean. It’s a three-part process for strengthening your skin and providing your nails and feet with what they need to be clear of infection. Start by using the antifungal wash in the shower. Scrub your feet and toes thoroughly with a small scrub brush. This will allow you to get underneath the nails and remove any debris. After scrubbing, make sure the toes are completely dry. Moisture trapped under the nail is what usually leads to fungus in the first place. Once they are dry, apply the Renew Nail Solution directly to the nails. The foot soak can be done at any time. However, it is recommended that you do it before bed each night, for 15-20 minutes by soaking your feet in a basin, or therapeutic foot spa machine. Once the soak is complete, dry your feet again, and re-apply the Renew Nail Solution overnight. For best results, use the entire system every day as part of a regular foot care routine, until the infection has completely cleared. It’s also recommended that you continue usage for a few weeks after all of the visible symptoms have gone away. Is the Purely Northwest Toenail Fungus System the Best Treatment Option? If you’re considering a natural solution for toenail fungus, it doesn’t get much more potent than the Purely Northwest system. While a three-part system may be inconvenient for some, it’s a great way to knock out toenail fungus quickly and safely. Plus, it can become a part of your regular shower and foot care routine. With the natural healing properties of tea tree oil, you can feel good about using this product. Not only will the system help to clear up the infection, but it will keep your feet healthy with continued regular use. We hope this review has answered any questions you might have about how the Purely Northwest system works. A fungal infection can take a long time to fully clear up. Using ingredients you can feel confident it can make the entire treatment process easier. We highly recommend it. CLICK HERE to Buy the Purely Northwest System At the Best Price on Amazon!